It is no secret that I am not a baker or a chef. I have professed my great love for all things crockpot, we have established that some times grocery store pre-made meals are the way to go, and there was that unfortunate lasagna incident. Needless to say, when it comes to anything in the kitchen I tend to get a little panicky. 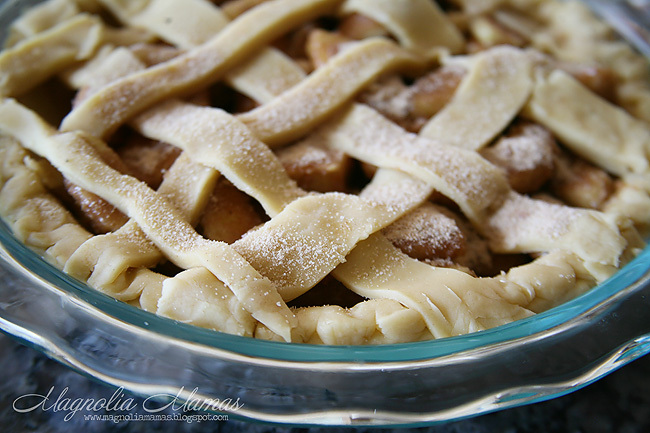 So when I was asked to make an apple pie, I am not gonna lie, I was a little nervous. 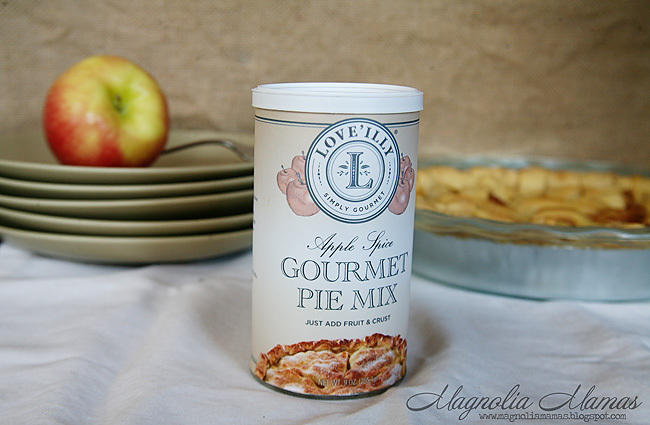 But y'all (see it's gonna be good because I am starting to talk southern to you), I found this little gem of a product that I swear came as a gift straight from the pie gods to the kitchen unfortunate like myself. Gourmet! I can regale my pie eating guests with not only a great tasting pie, but a gourmet tasting one. Plus, one that I had to do minimal effort to - read: less chance to mess up. 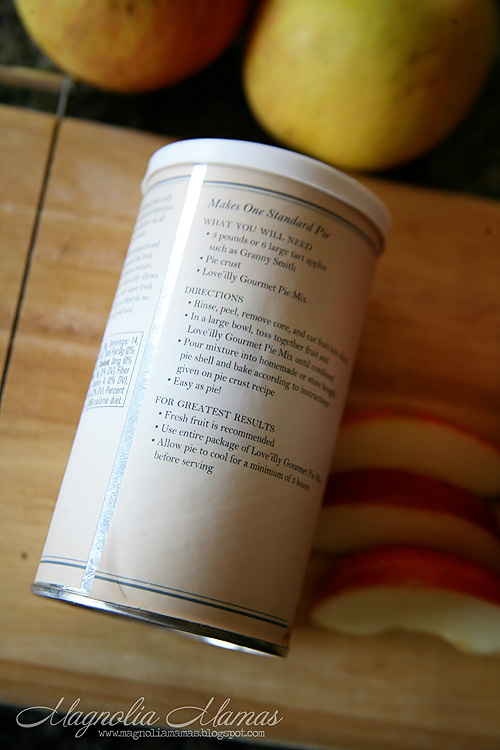 Right on the front, and in the directions, the Love'illy Gourmet Pie Mix informed you that all you needed was apples and crust, and everything else was taken care of. 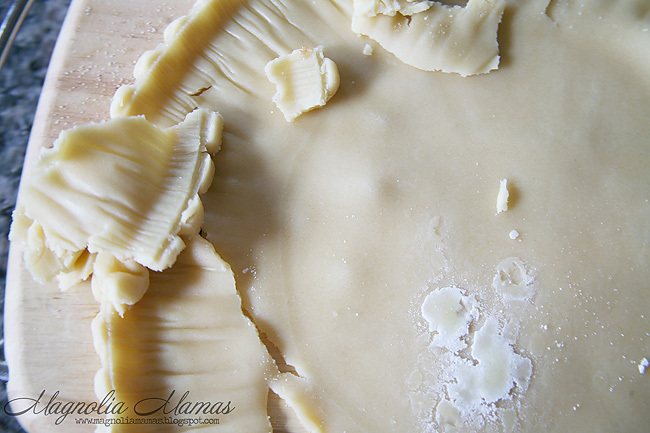 And I am not sure how closely you read it, but store bought pie crust. I'm in! I simply followed the directions to a tee. I purchased apples and crust from the grocery store. I sliced, cored, and peeled the apples. After placing them in a large bowl, I poured the entire mix in. 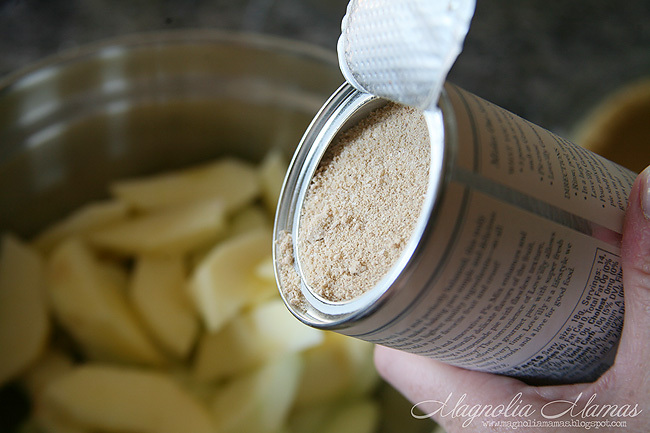 I stirred everything together until it was coated, and then placed the entire contents into my crust. It took all my will power not to stop and eat it here. 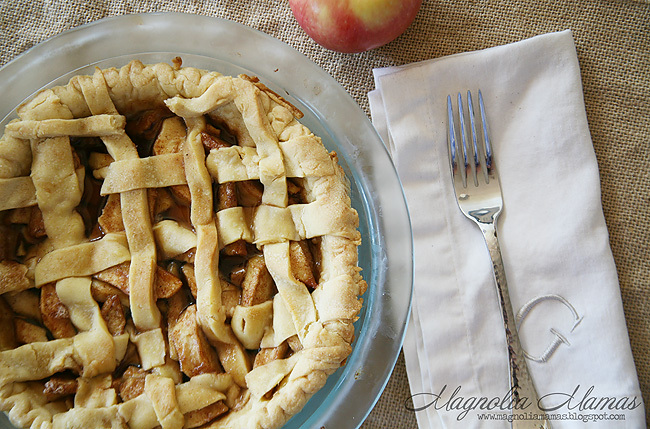 The pie mix and apples smelled DIVINE. Up until this point it was just as the directions stated, "Easy As Pie!". I ran into one little snafu with my top crust. It did not pull away from the aluminum it came in properly and it was mangled. I looked to the Love'illy site and Instagram for some inspiration to see what I could do and came up with a basket weave pattern. I rolled out my dough and cut it into strips, but this is where I was out did my skill. I was committed, and went on to bake as instructed. Let me just say the aromas that filled my kitchen for the next 30 minutes were worth it. I didn't care what that pie looked like, as long as it tasted as good as it smelled. I pulled out the pie completing the instructed time, and while not the prettiest thing in the world, I thought it would pass. 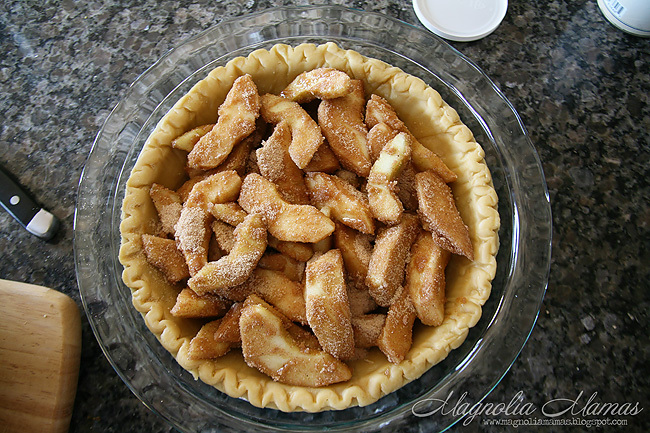 It was a HUGE hit, and I have definitely received my apple pie street cred. 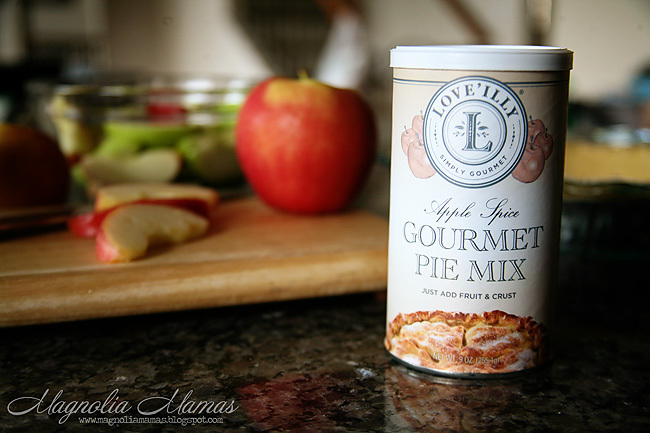 I can't lay claim though as the Love'illy Gourmet Pie Mix most definitely made the baking experience "Easy As Pie".